As you can all tell, I am definitely not blogging in real time. If I was, it looks like we eat fried food all the time here! Truth be told, I dread frying foods. I personally don't like fried foods at all, but I live with 3 guys that like the occasional fried eats and treats! After all the buzz about Chick-fil-a as of late (great article here, by the way), well, a friend of mine posted this video on Facebook and then Tony saw the same recipe on Monday. The man hasn't eaten Chick-fil-a in years due to celiac, so now, after 3 years, the craving hit. So, he emails me the recipe from Hilah Cooking for a Chick-fil-gay sandwich and asks if I would make it for dinner. I figured it would be a fun dinner for the boys and it would distract my brain from thinking about them going to school. It did indeed do both! I changed the recipe up a bit since, well, I thought I had all the seasonings, but I had apparently forgotten that I had cleaned out my spice cabinet at some point and no longer had a good portion of the spices she called for. I also referred to my fried chicken recipe for the method because I thought the double dip method for the flour would give me a good coating and it did. The chicken was super crispy and the coating held onto the chicken perfectly! I baked off a batch of gluten free buns for the occasion too! 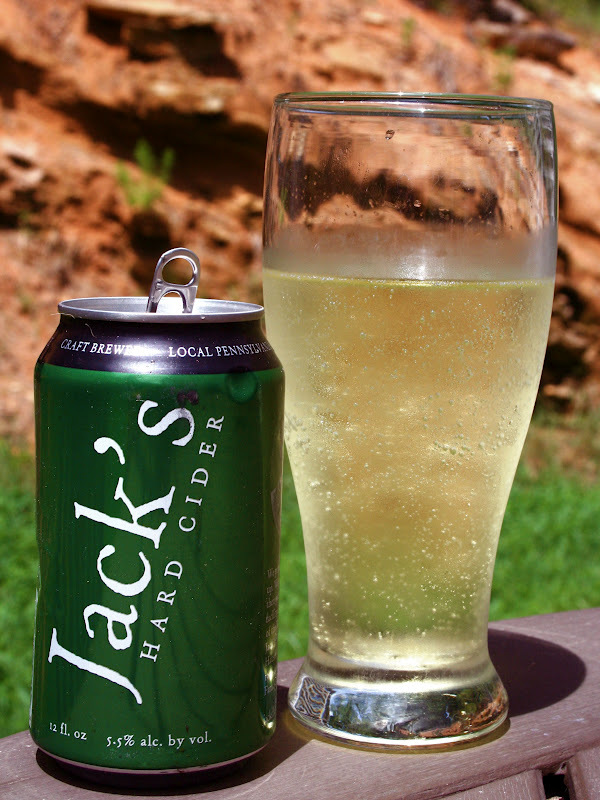 All enjoyed with a side of sunshine and a Jack's Hard Cider! This stuff is amazingly delicious and refreshing for only 100 calories a can! It's all about balance people! Loosely wrap a chicken breast in plastic wrap. Pound each breast to thin out and tenderize. Place the breasts into a dish and soak in the pickle juice. I soaked mine for 2 hours flipping a few times during that time. Mix the eggs and almond milk in a bowl and set aside. Place the flour, powdered sugar, salt, pepper, onion powder and garlic powder in a separate bowl. Cut the chicken breasts in half. Dip the chicken in the flour mixture, then dip it in the egg mixture and then back in the flour to evenly coat each piece. Heat the oil to 350 degrees. 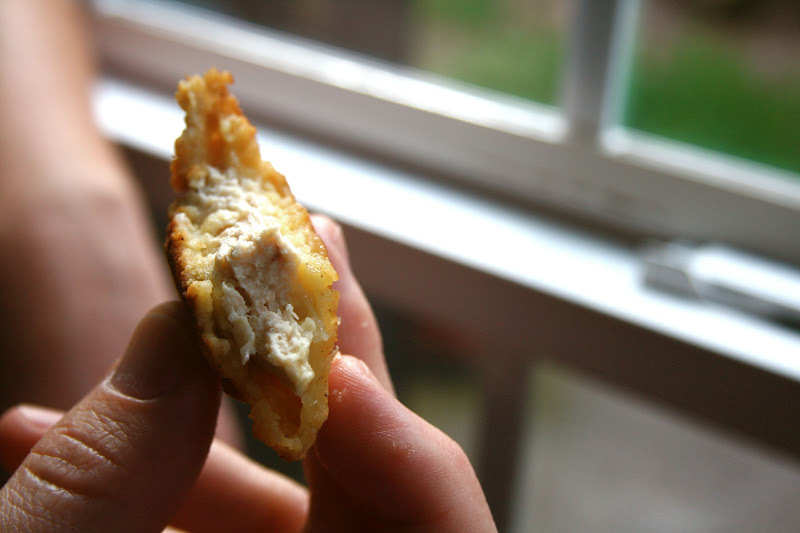 Place on a sheet pan while your oil comes to temperature and all the chicken is coated in flour. Place chicken in the hot oil and cook until it reaches 160 degrees on an instant read thermometer (your best friend while cooking meat). Flipping halfway through. It took about 15-25 minutes for a half chicken breast. Place on a paper towel lined platter and allow to rest for 5 minutes. Don't forget to butter and toast your buns! Also, pickles and tabasco are a must for us! Notes from the boys...this actually tasted more like the traditional sandwich when the chicken was allowed to cool and rest. 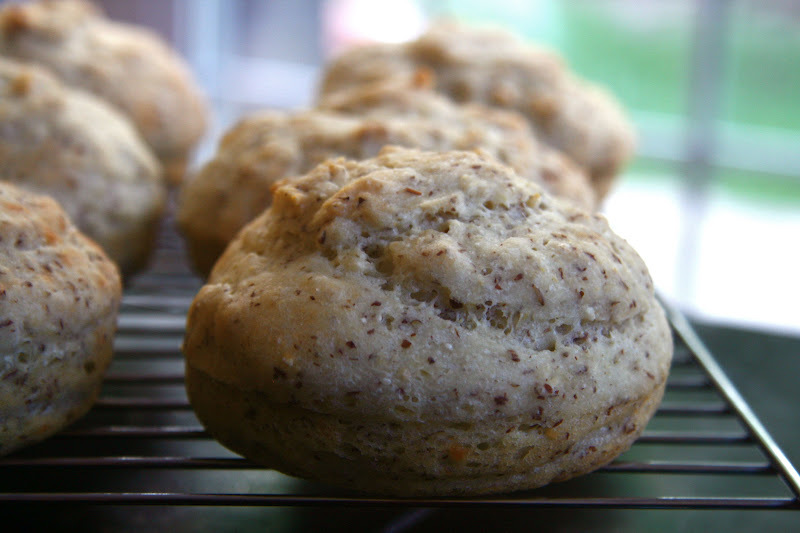 Gluten free flours have a flavor and I really believe that when they are allowed to rest a little after cooking, the other flavors have a chance to blend into the final product. They devoured it! I also served Alexia waffle fries with this, because seriously, it was a must. Have you ever made a restaurant clone recipe? I've never followed a recipe for one before. I've only played with flavors to make my own versions of things we like to eat at restaurants. I'm sharing this on Allergy Free Wednesday and Slightly Indulgent Tuesday. you know, I have never had a chick fil a sandwich. we used to have a location here in town, but I don't think we even have them anymore. Very cool - now can you do a veggie version for me???? forget chik fila, i'm coming to Sarena-fila. LOL! but really, looks amazing as usual. I love you for posting this. And for linking to Dean Salbu's article! His Ethics class was the best I've taken. I wish you could adopt me, Sarena! :) This looks amazing. Also, thank you for posting a link to the NYT article - it was refreshing to read! 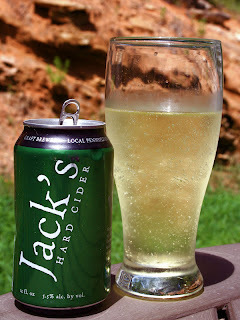 yay Jack's! that looks delicious! the coating looks awesome! Pickle juice?! Never would have thought! But since vinegar can tenderize, I don't see why not! Mmmm...looks amazing. Funny-- all of those chik-fil-a posts were creating a craving in me too, ha. I need to make these, asap. Jason made some sort of grilled Chick Fil-A copycat recipe that he said was good. It also contained pickle juice. Great article. I read that on Laura's blog too. woohooo, i love to see this!! i love that lindsay say "sarena-fila." ha! 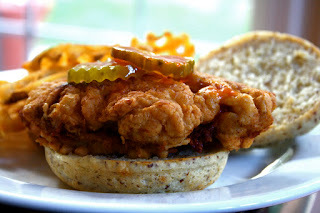 I've actually never had a Chick fil A sandwich before...and I rarely EVER eat fried foods (if I eat them out, I usually end up with an upset stomach and I just never think to fry at home), but I have to say this recipe has got me seriously curious! I've never heard of marinating chicken in pickle juice AND using powdered sugar in the coating? Hmmm.... sounds like it would be delicious! I LOVE recreating restaurant recipes! I've made Red Lobster's Cheddar Bay Biscuits before and they came out great! Now I just need to get around to trying the recipe I have saved for Bonefish Grille's Bang Bang Shrimp...oh just the THOUGHT is making my mouth water! I want those buns! They look amazing! me. Regardless, I'm definitely delighted I found it and I'll be bookmarking it and checking back regularly!